When you're missing a single tooth, it can lead to a number of issues that affect your smile and your dental health. Thankfully the team at our Palm Springs dental care center offer a variety of treatment for tooth loss. This includes dental implants, artificial tooth roots that can support crowns, bridges, and dentures. We'd like to take a moment to consider the use of dental implants to replace a single missing tooth. This should help you understand what to expect from the process. In terms of cosmetic problems, a single missing tooth can lead you to feel self-conscious about the look of your smile. You may feel hesitant to speak, smile, and laugh, even around people you have known for many years. In terms of general health and wellness, a single missing tooth can lead to difficulties biting and chewing, which can make eating your favorite foods more of an issue. The loss of a single tooth can also lead to bone loss and gum recession in the area of the tooth gap. In addition, teeth adjacent to the tooth gap may become loose and wiggly as a result of the tooth loss. An implant-supported dental crown is a crown that is anchored into place with a dental implant. This allow this crown to be held securely in place, with a level of stability comparable to an actual tooth with a tooth root. This is an excellent option for people who are missing a single tooth or multiple individual teeth in different parts of the mouth. Good candidates for implant-supported dental crowns are people who are missing a single tooth. They should have enough bone density and gum tissue density in place to support a dental implant. Patients should also have realistic expectations about the oral surgery, including the months-long recovery process required for the implant to fuse with the jawbone (a process known as osseointegration). People without sufficient bone or gum tissue density may undergo grafting procedures to build up the missing hard and soft tissue. This will add several months to the overall treatment process. To ensure the best possible aesthetic and functional results, it's important that the dental crown be custom crafted by a dental lab. Dentists will take impressions of the surrounding teeth and consult dental records of the missing tooth when it was still present. Using modern technology, a crown can be designed that looks natural and complements the adjacent teeth and the teeth on the opposite dental arch. Patients who have implant-supported dental crowns in place are able to bite, chew, speak, and smile just like they had a natural tooth in place. There is very little chance of the crown slipping out of place or falling out. 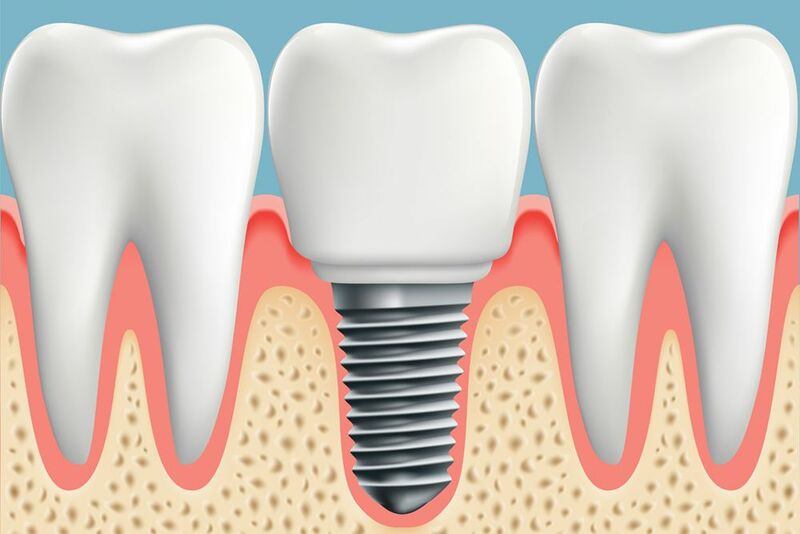 In addition, the dental implant helps prevent bone loss and gum recession from occurring, which is a common issue when people are missing teeth. Are Implant-Supported Dental Crowns Right for Me? The best way to find out if dental crowns are right for you is to stop by the practice for a consultation. During your visit, you can learns much more about all of your options to treat tooth loss and if implant dentistry is a possibility. This is also your chance to learn about the risks, benefits, and costs involved. If you would like to learn more about implant dentistry and how it can help you have a healthy smile that looks natural, we encourage you to contact our advanced dental care center today. The team at our practice will help you smile with renewed confidence.